I love food. But I almost love Italy more. 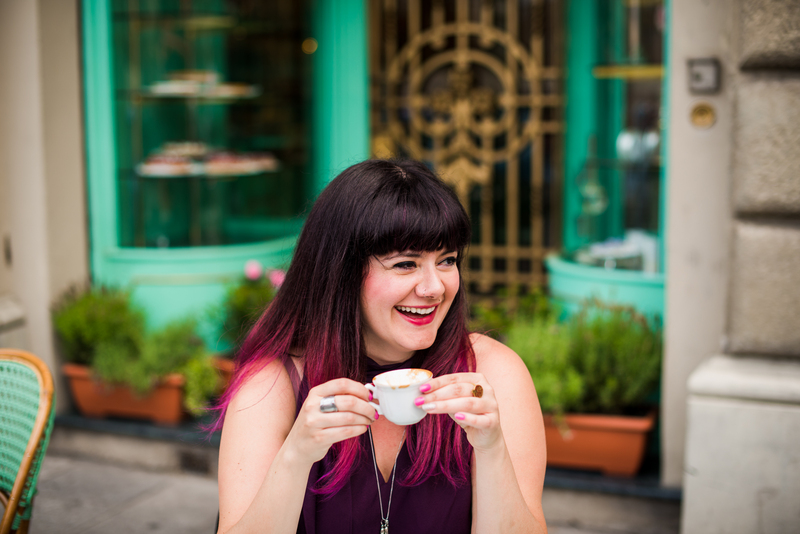 Curious Appetite is Coral Sisk, an Italian/Persian Made-In-America gourmet food blogger from Seattle however seriously captivated (and captured) by Italy for 12 years and counting. I love sharing my passion for Italian food, wine and culture with everyone I meet. I’m a food & drink writer and curate culinary wine experiences in Florence, Bologna and around Tuscany. 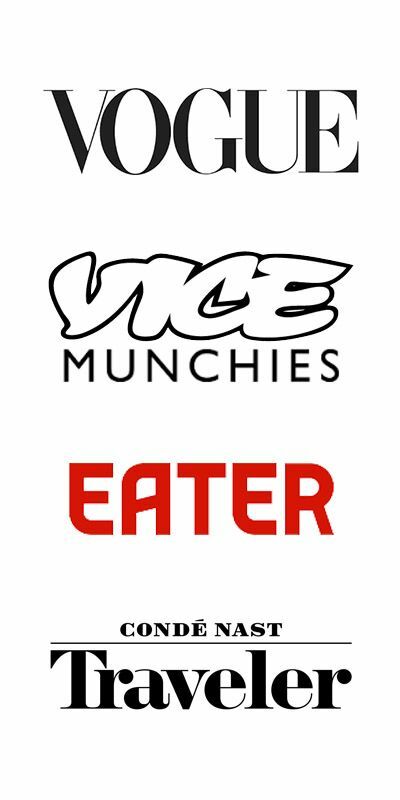 My writing appears on sites like Eater, Vogue, Conde Nast, USA Today, The Guardian and more. My tours are recommended by trusted travel publications like Lonely Planet. In short, I’ve called Florence home since 2012. For the full background and to answer most of the FAQ I received- read on! I’ve been an avid “culinarian” for as long as I can remember. My love affair with food began with my Persian family, I was lucky to grow up in part eating gamey lamb & herb stews (ghormeh sabzi), pomegranates from my grandmother’s garden and saffron & pistachio rose water bastani (persian ice cream) with my aunties. As an adult, I attribute an adventurous palate in part to my Persian half. But I’ve been obsessed with food and understanding every morsel of it for as long as my memory serves. I also attribute where I’ve arrived today to working hard from a somewhat young age. I figured if I have to work, may as well work with the things I’m passionate about. Since always being passionate about food, I consistently sought out jobs that had to do with food. Over the last nearly 20 years, I worked my way up in the food and service industry. After graduating, I started my career in professional sales work (wine, mostly) and by giving food tours in Seattle. All of my jobs (from retail, waitressing to sales) parlayed into what I do and love today in Italian culinary tourism. I totally believe in hard work, experimenting with jobs till you find the one you love and to carry a little humility, starting from scratch while occasionally being humiliated by trial and error. What got you interested in Italy? In addition to being half-Persian, I’m a quarter Italian and this bit allowed me rights to Italian citizenship. My mom has always been a very proud Sicilian-American. However, my determination to move to Italy formally began in 2005 when I visited Florence for the first time. I was 19 and working in London as a receptionist by day/bartender by night on a working holiday visa. During this period, I went traveling through France and Italy with a housemate. As soon as I stepped onto Italian soil, I knew I wanted to make Italy my life’s passion. I’ll never forget when I called my mom from a payphone at an internet shack in Florence and said “Mom, can we get Italian citizenship somehow? I want to live here!” From that moment in 2005, I was intent to move to Italy and I spent subsequent years working towards this goal. I do not suggest anyone to think moving to Italy was an easy process. I decided my first step was to learn Italian and earn a degree in Italian Studies so it would increase my chances of finding a career in Italy. Oh dear, “a career in Italy” is quite the concept! I’m baffled when I hear from other foreigners, “oh I want to move to Italy too! You’re living the dream! I’ll pack up and come next summer!” I didn’t learn Italian thanks to family vacations. I enrolled in a public University and spent 6 hours a day studying which included studying on my lunch breaks and watching Italian films at night. It meant investing in study abroad programs I footed the bill for. It meant making friends with Italians and humiliating myself until I got it right. Once I arrived to Italy, I found a room on craigslist and a view of the Duomo from my kitchen. Although I came prepared with work experience, a degree and Italian fluency, I still did many of odd jobs, penny pinching as I had to survive on savings until I found a “real” job, which meant not being able to eat out. As a result, I was forced to shop at the daily market then downstairs and cook everyday from scratch. I can (not so) humbly say I know my way around tasty Tuscan soups, fresh pasta, ragu’ and a handful of Italian mainstays. For anyone who wants a life beyond the status-quo trajectory- be willing to be flexible for a while. Be willing to take a pay-cut and invest in your future as you carve it out. It takes grit and perseverance to stay in Florence or anywhere in Italy for more than a honeymoon period. How did you learn Italian? How long did it take? Since 2005, I put in my dues by earning a Bachelor’s Degree Italian Language and Literature so I’d say when I started my University courses in the summer of 2006 it took me about a year to become conversational but that also included a summer intensive where all 3 levels of Italian 101 were smashed into 2.5 months and then subsequently enrolled in a study abroad in Rome with a host family. I also studied A LOT and threw myself in situations like making friends with anyone I knew who spoke Italian in Seattle, making sure to balance local friends with Americans while studying abroad and volunteering on farms in rural areas of Italy. When/how did your blog start? Curious Appetite was born after I graduated in 2010 from the University in Washington. I had spent considerable time studying food and agriculture in Italy, and I came back to Seattle with a lots of opinions on Italian food. 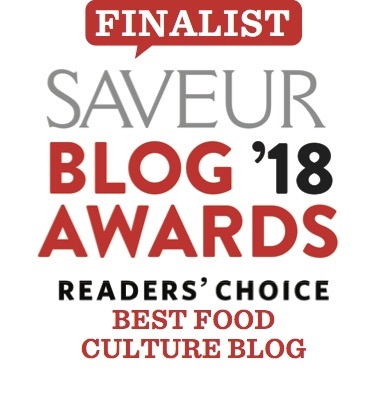 My blog originally started as a hobbyist platform to practice (extremely amateur) food criticism, mostly about Italian restaurants in Seattle. When I moved to Florence in 2012, I started to write about restaurants in Florence and an occasional travel adventure (like when I went to Iran) plus random recipes. When did you move to Florence and why? In 2012, I finally made the leap to move to Italy and Florence was not planned but that’s where I ended up. During my last couple years in Seattle, I was earning a certificate in food & wine pairing at a vocational culinary academy, working as a sales representative for a wine distributor and moonlighting as a food tour guide for Seattle Food Tours. I had nearly given up on my dream to move to Italy, despite holding a University degree in Italian Studies, food & wine training and an Italian passport/citizenship. 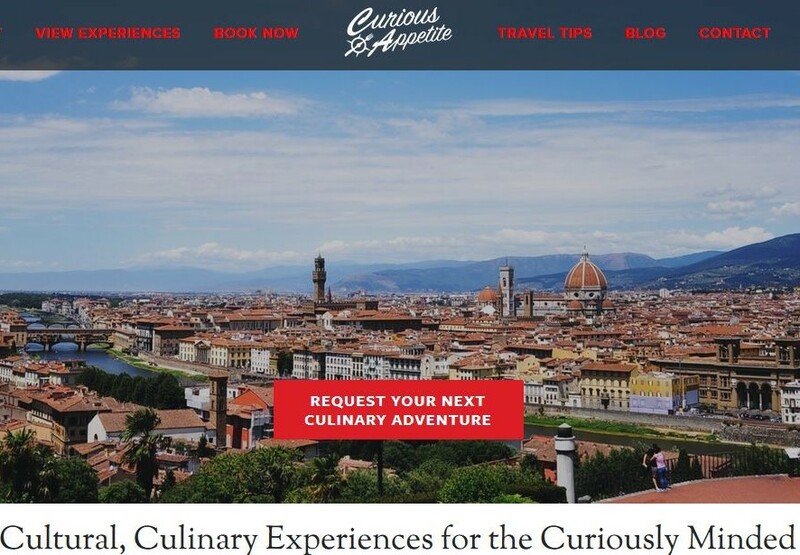 I noticed a flyer around campus advertising a culinary study abroad in Florence, and somehow saw this as the gateway to my dreams of moving to Italy. The universe checkmated me and here I am. Since arriving in Florence, I’ve kept busy working in food & wine tourism & events. Now I run my own show of tasting tours, cooking classes and freelance writing! I holds a bachelor’s degree in Italian Studies (language, literature & history) with a minor in Geography (mainly food politics/anthropology coursework) from the University of Washington in Seattle, attended a certification program in food & wine pairing from the Northwest Wine Academy in Seattle, earned a Level -2 Award in Wine & Spirits from WSET London and hold an Italian sommelier certificate from FISAR in Florence. Basically, I’m a certified Italian-speaking wino! During my academic career, I studied abroad in Rome on 2 separate occasions, once on a food-specific academic program titled: “The Anthropology and Geopolitics of Food” where we surveyed world food production and consumption, starting with the food culture of Rome. I worked for room & board for a month on an organic farm in Puglia to learn about self-sustaining agriculture. Here I got my hands dirty several hours a day with organic agriculture & olive oil production, ancient grains and flour processing, traditional Pugliese cuisine and rural farmlife. In Seattle, I was involved in the food community via giving tours at the Pike Place Market to volunteering on urban farms in under-served communities (Seattle Tilth, Cascade Harvest Coalition, etc). I originally wanted to work in food policy or in community food non-profits, but after a stint as a Food Policy intern at the Washington Health Foundation, I realized the food battle needed to start with our forks and to learn where we should be putting them. Italy, to me, is a prime example of what an ideal food culture should look like and I do my best to promote that (in a fun and non-judgmental environment) through my carefully crafted food tours. I am very proud to provide memorable experiences to visitors to my adopted country. You can check out all my gastronomic and culinary experiences here. Even Lonely Planet approves. Ciao! I’m so glad I stumbled upon your blog. I blog about Italian food and have been living here (Siena) for 3 years! I totally love it but it’s been a stressful 3 years to say the least lol. I wish I could live in Florence, it’s my dream! Hi Coral, enjoying your blog and recently ate at Enzo e Piero based on your advise when in Florence on business. Excellent! Thank you…..